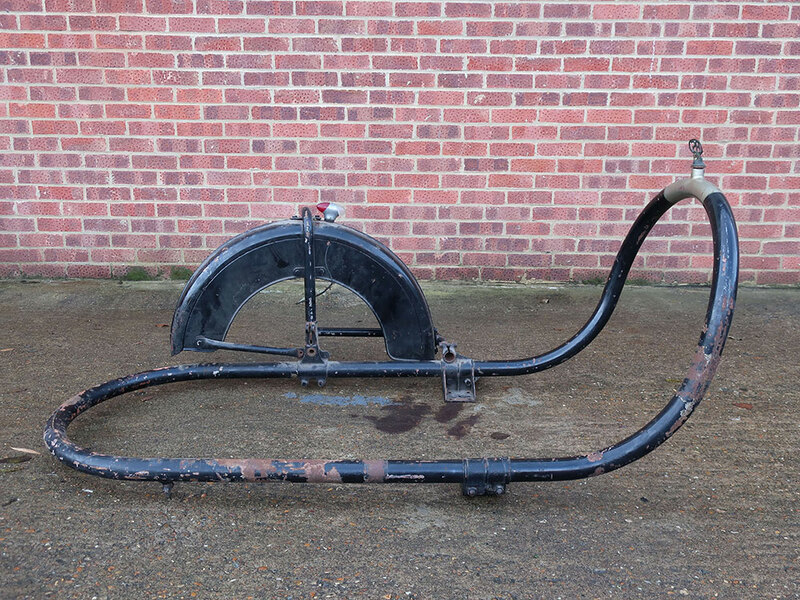 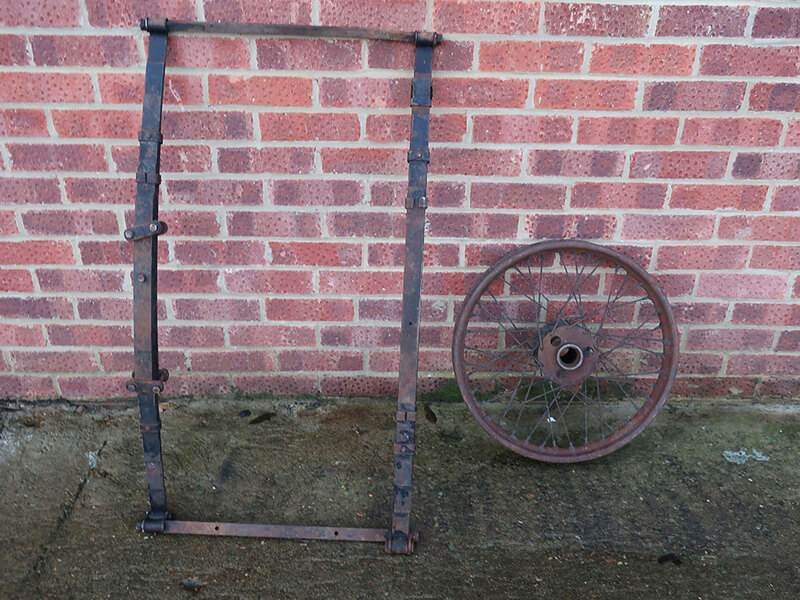 This is a genuine Brough Superior ‘Petrol Tube’ side car chassis for restoration. 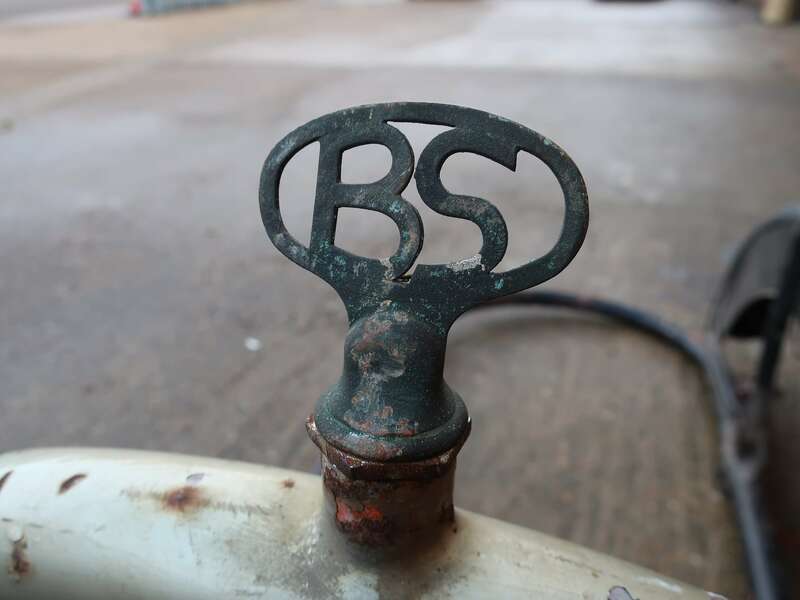 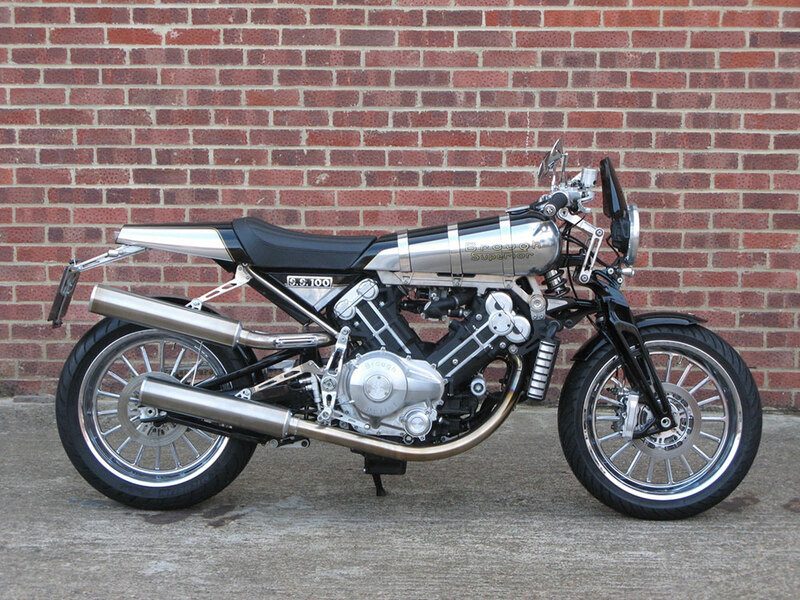 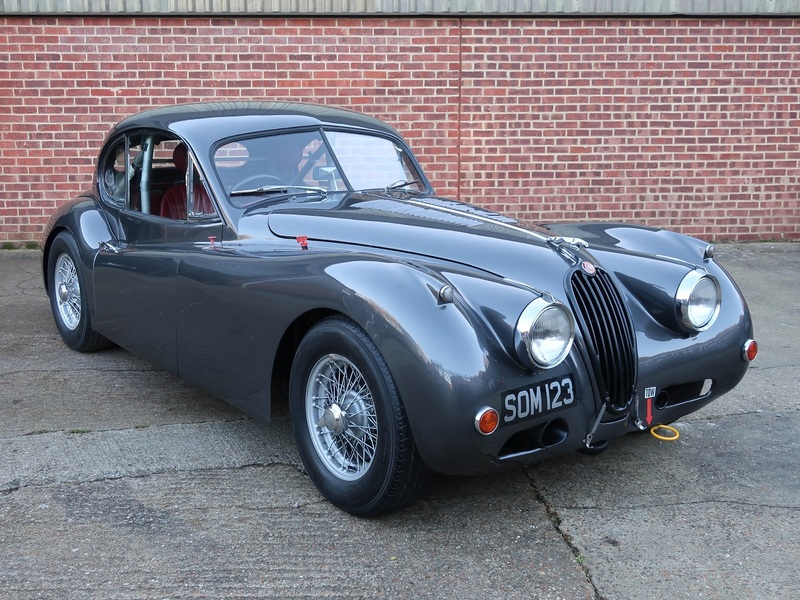 The Brough Club (UK) records it being as being part of 1937 SS80 combination and has the vin no.129 clearly stamped on the body mounting bracket. 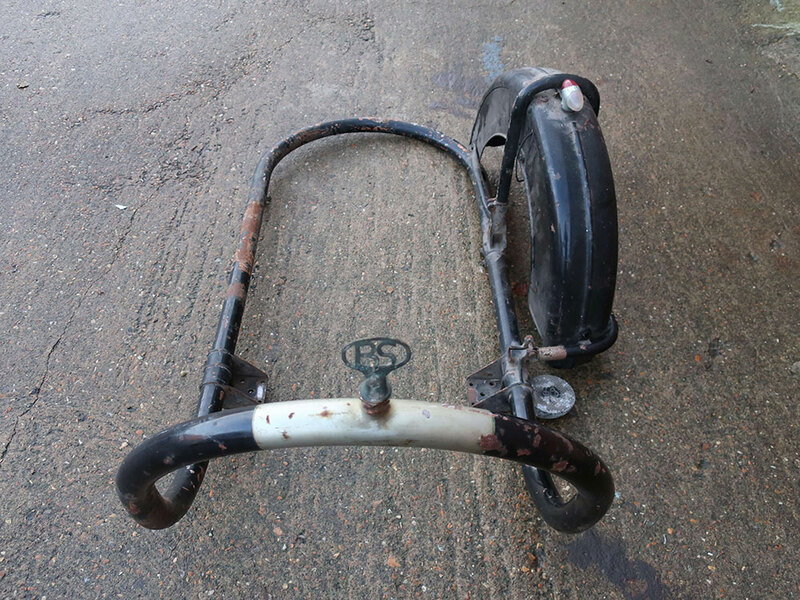 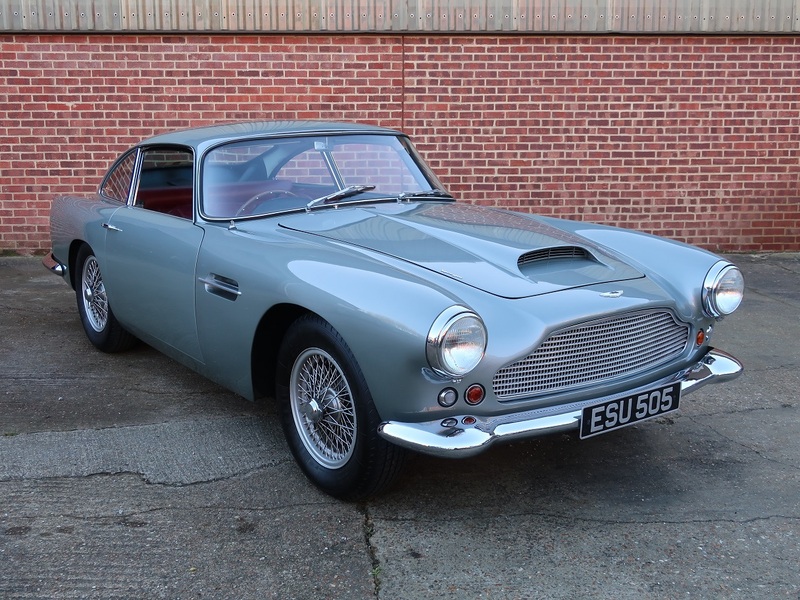 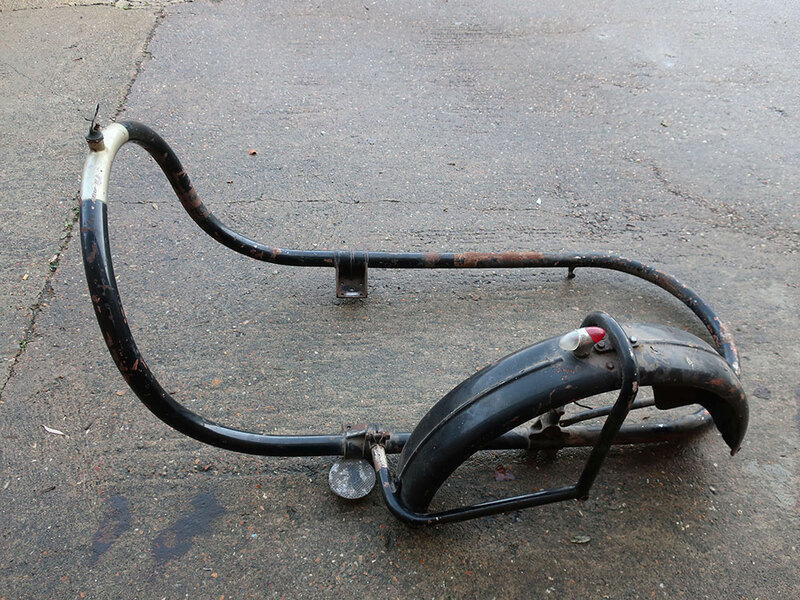 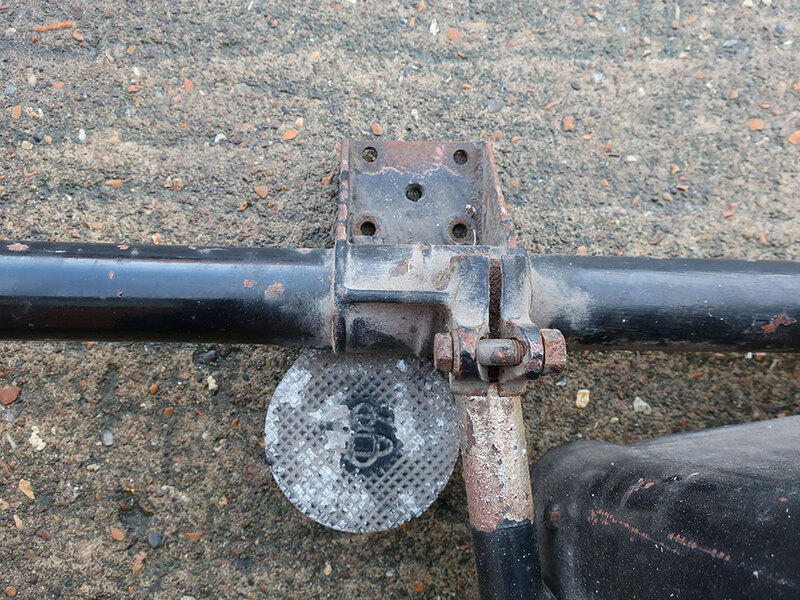 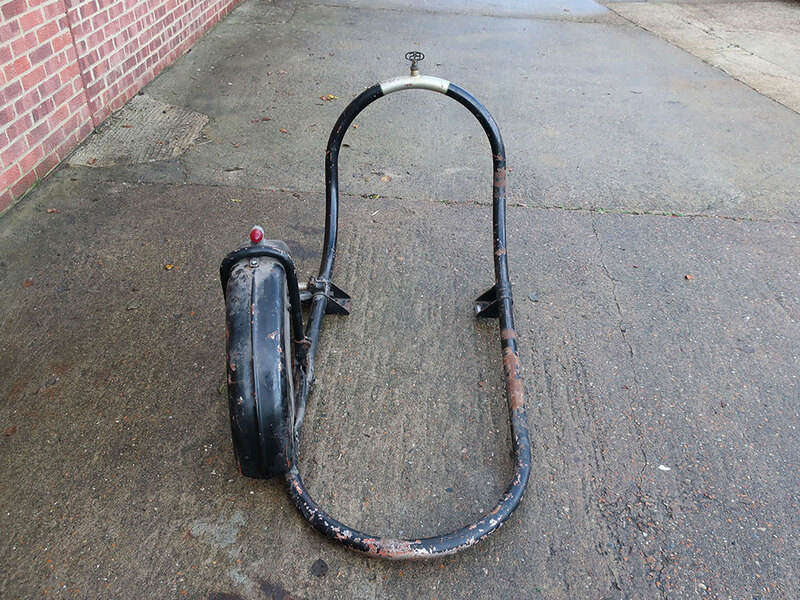 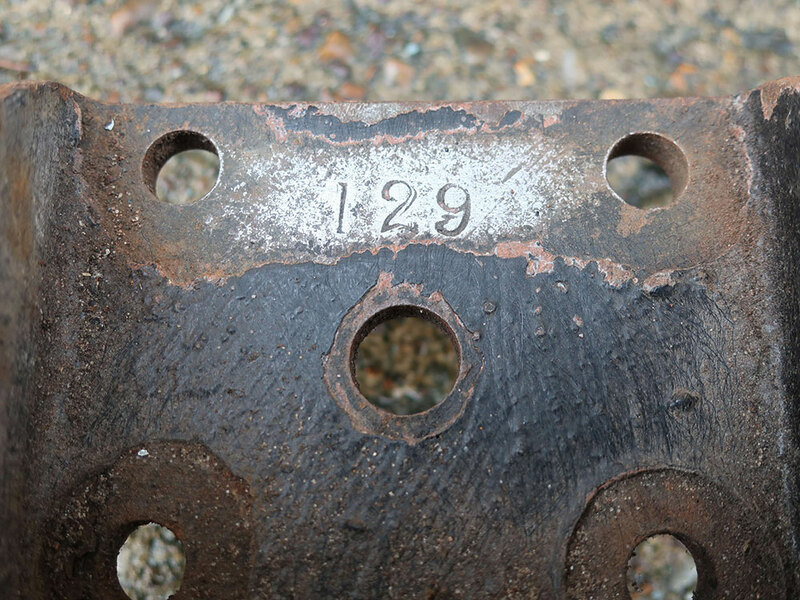 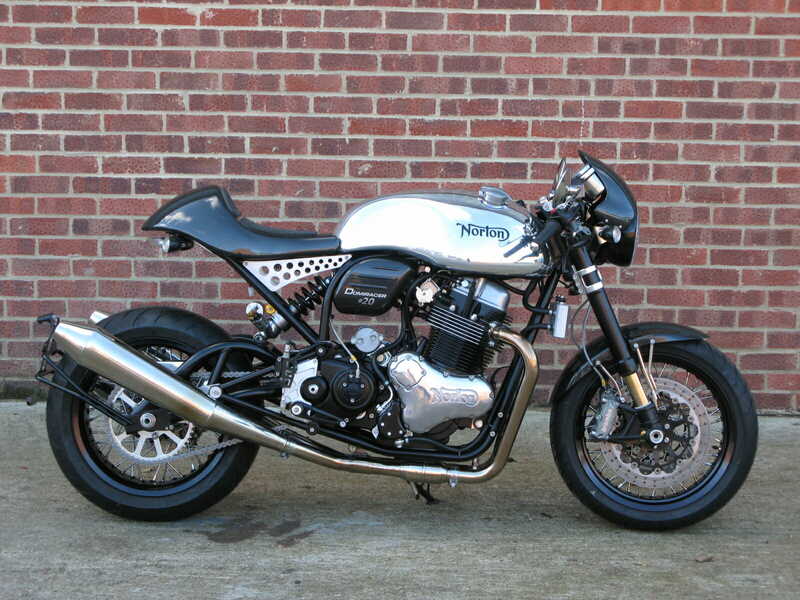 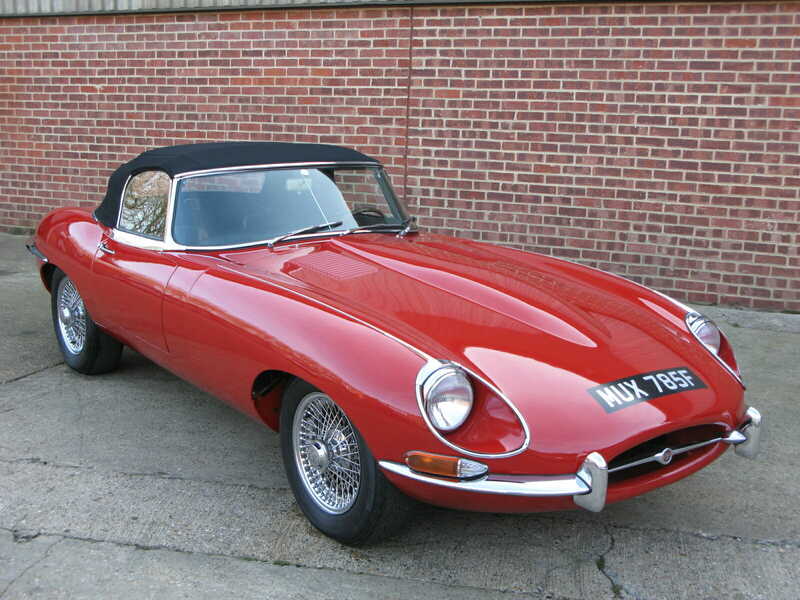 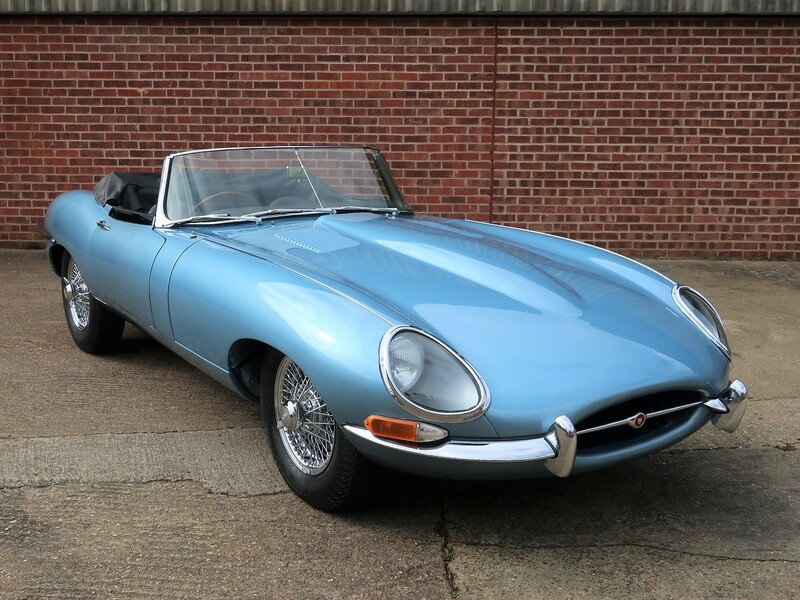 The general condition and integrity of the chassis appears good as it has been dry stored for many years, the sale is only the chassis, leaf springs, mudguard and mudguard bracket and wheel only – no bodywork.